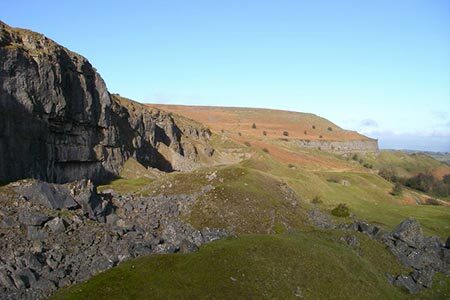 A Brecon Beacons walk exploring the limestone Langatwg Escarpment to the south of Crickhowell. The route includes a section of the Monmouth and Brecon Canal, pleasant rural countryside, woodland and the impressive limestone crags of the Llangatwg Escarpment. Generally route finding is good although care is needed with navigation on some sections of the walk. A GPX File is available for download (see walk description).